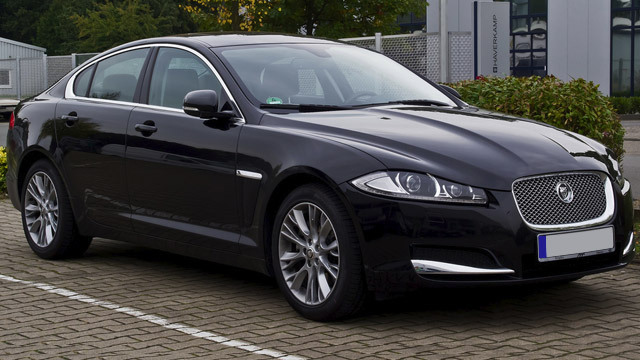 Jaguar Repair in Orlando | C & G Auto Center Inc.
For reliable and accurate Jaguar auto repair services, Orlando, Davenport, and Winter Park choose the highly-skilled auto mechanics at C & G Auto Center. You can rely on our talented team to provide you a seamless and comfortable experience as our mission is to operate with efficiency, kindness, and good business ethics. The team of professionals at C & G Auto Center will discover the underlying problem with your Jaguar in no time. New clients often become customers for life because our determination and ability to get to the root of most auto repair issues is unmatched. We value our clients deeply and are happy to fo take the time to truly educate them on what is happening with their Jaguar. Our customers are more than just customers. Often they feel like part of our extended family. Their safety is something that we take very seriously. “These guys really saved me. I was from out of town and stranded, called in the afternoon around 3pm because my car would no longer start (problems with my starter). They conveniently scheduled me a tow truck, ordered the part and had me out of the shop before closing time. I was in and out and able to drive my car home that same day. The labor was a little pricey but their friendly customer service over the phone and speedy repairs by the mechanic made it all worth it. Thanks C & G.” -- Jonathan Q. C & G Auto Center is committed to providing car owners in and around the Orlando, Davenport, and Winter Park areas with top-notch auto repair and customer service. Please contact us for Jaguar work, schedule an appointment online, or visit us at 4155 W Oak Ridge Road in Orlando. Clients rely on our team of adept auto mechanics to offer services that are unrivaled by the competition. We look forward to giving your Jaguar leading services so you can get back on the road feeling secure.